Hello, my loveliest Germs! Today I have a very special book review for you all. A few months ago, I was contacted by author Valerie Nieman who asked me if I was interested in receiving and reviewing a copy of her book, which has been picked up to be republished. Can you guess what my answer was? 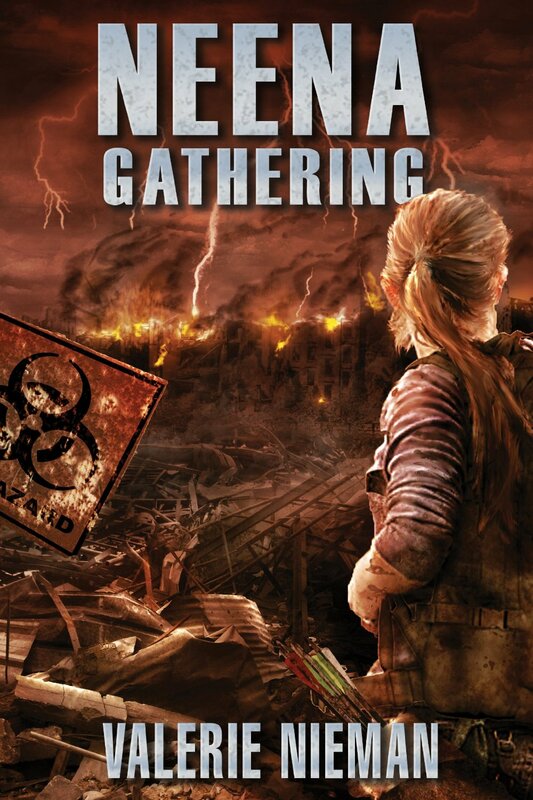 Right now in the YA genre, you can find post-apocalyptic books on every shelf of every book store. They are what’s trending right now, and they all seem to be the same. Neena Gathering set itself apart from the norm in a number of ways. Yes, it is post-apocalyptic, but it is so incredibly unique. Allow me to explain. Neena Gathering is a coming-of-age tale about a young girl called Neena who lives in a secluded farm with her Aunt Maura. She spends all of her time with her aunt, and because the outside world is dangerous (full of either mutated people or certifiably insane people), she doesn’t really get out much. Her uncle comes to town and sort of, like, takes over the farm and starts seeing Neena as his. Now, this is problematic for a number of reasons: 1) He’s quite a bit older than our main character, 2) he’s her uncle (!?! ), and 3) Neena is in that time in life when a girl becomes a woman, and it’s slim pickins out in the good old mutated U-S-of-A. What’s a girl to do? Well, dear readers, you’ll just have to read to find out! With the arrival of change in the form of The Barterman (who facilitates trade amongst travelers), Neena must ultimately choose between the life she knows and the possibility of the life that could be in this apocalyptic American landscape. For me, the hardest thing to do in this particular genre is to make situations feel realistic. There are plenty of post-apocalyptic books out there that are just plain fanciful. I love being able to immerse myself into a world and not have to question how things happened or how it got that way. This book was a breath of fresh air to me. I would absolutely recommend this book to anyone who was looking for something that’s a little off the beaten path but still spectacular. If you do pick it up, please, please tell me what you think! And now, a little something for my Germs who are in the Greensboro area! Valerie Nieman will be doing a reading this September (so you have plenty of time to mark your calendars) at Scuppernong Books. Of course, she’s got other things going on all the time and has all of that information available on her Facebook page.